Home to over 7 million people, Hong Kong is one of our most popular parcel delivery destinations. Whether you’re looking for value for money, a fast parcel delivery service, or just a simple, stress-free parcel courier, DPD Local Online will make sending your parcel to Hong Kong as easy as possible. Thanks to our extensive experience of international delivery, our trusted network of parcel couriers will get your parcel to where it needs to be quickly and with the minimum of fuss. We guarantee that when you get a quote for sending your parcel to Hong Kong with us, you’ll get a parcel delivery service you can count on; at a price that meets your budget. Deciding on your budget for getting your parcel to Hong Kong is easy with our simple express and economy delivery options. Just choose the option which suits your needs best and we’ll do the rest. So, to arrange a parcel delivery service you can trust, book your parcel to Hong Kong with DPD Local Online. Do I need to deal with customs when sending from the UK to Hong Kong? Posting to Hong Kong is classed as international delivery, so proper precautions regarding customs and import tax need to be taken into consideration. Luckily for you, we’ll send over all the declaration forms you need for you to fill out when you book for international delivery with us. It just makes life easier for you, which we like to do. How much does it cost to send a parcel from the UK to Hong Kong? Postage to Hong Kong start as low as £26.47 through Parcel2Go. Our long-standing relationships with renowned courier services like DPD, MyHermes and UPS, to ensure that we’re able to offer cheap parcels with great service to all our customers. How should I address my parcel for delivery to Hong Kong? Even though Hong Kong is technically a territory of China, you should still write “HONG KONG” as the country name in capital letters on the last line of the address. 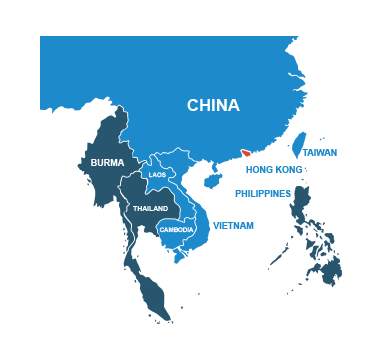 For more information on addressing to Hong Kong, check out the Universal Postal Union’s guide. Paintings or drawings of an obscene or indecent nature. If you’re unsure of the legislation regarding the items you wish to send, get in touch with Hong Kong’s Customs and Excise Department. You should also refer to our prohibited items page for a list of goods banned by our couriers.